One area where I don't feel like I have "adulting" down properly is in the world of having clothes dry cleaned. I'm honestly far too lazy to keep on a schedule of bringing clothes to the dry cleaner and picking them up, and I don't own too many "dry clean only" pieces in the first place. But dry cleaning is an important part of keeping your clothes in pristine condition, especially if their care requires it over regular machine washing. And when it comes to sustainability, ensuring that your clothes last as long as possible helps to keep a lot of textile waste out of landfills. The drawback is that the conventional dry cleaning process is not very eco-friendly, especially with the chemicals used. PERC is a common dry cleaning solvent that has been reduced over the years, but can still be found, and it's a volatile organic solvent that that can pose serious health hazards, per OSHA. Plus, PERC can be the culprit behind making plush items clumpier, like comforters or stuffed jackets. However, there is a greener alternative, and that's where GreenEarth Cleaning comes in. The Kansas City-based company has developed a nontoxic liquid silicone dry cleaning system. Liquid silicone degrades into sand and trace amounts of water and carbon dioxide if spilled or released to the environment. It is recognized as safe for air, soil and water, not classified as a volatile organic compound (VOC) by the U.S. EPA, and doesn’t contribute to smog formation. 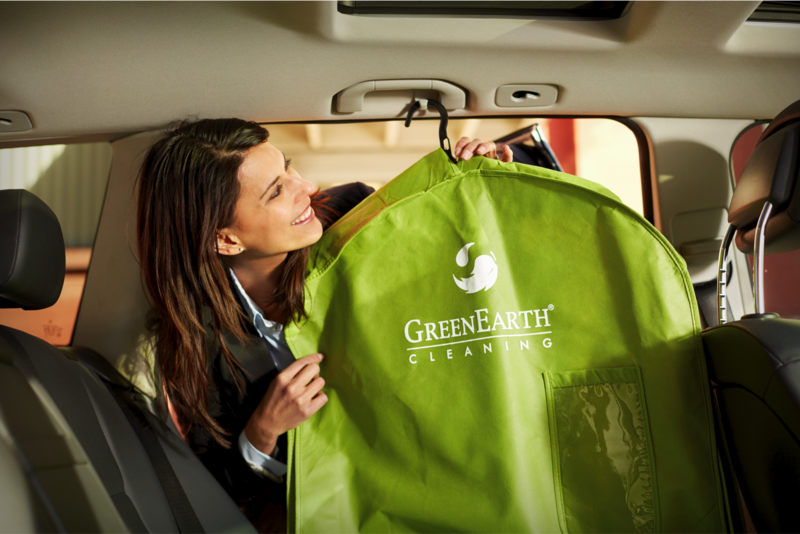 When it comes to your clothes, the GreenEarth dry cleaning process enables a wider variety of clothes to be safely and effectively cleaned. Delicate silks, suede and leather trims, beads, sequins, painted garments, specialty buttons and trims, couture garments, heirloom fabrics and other “problem” items (including wedding dresses, lace and sequins) are no problem at all. Liquid silicone is also odorless, so your clothes don't have any lingering smells, which is beneficial when you're sensitive to smells or chemicals or have sensitive skin. "Across the United States, there are more than 1,800 dry cleaners in nation that use the GreenEarth process," says GreenEarth Marketing Manager Aaron Newport. 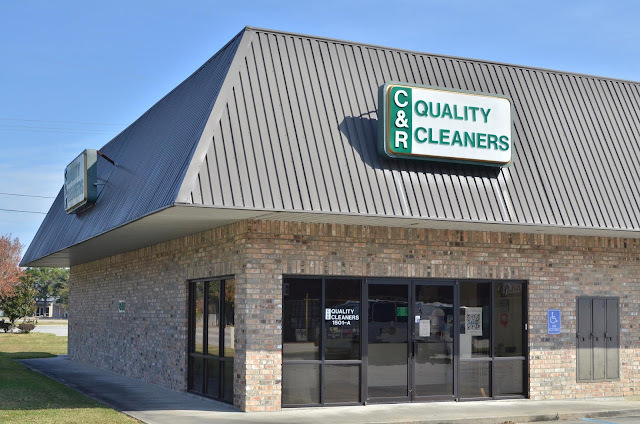 In Louisiana, there are two GreenEarth-certified dry cleaners: C&R Quality Cleaners in Lafayette and Sunshine Cleaners in Baton Rouge. C&R's main location and dry cleaning facility is located on Kaliste Saloom Road, but they have multiple drop-off and pickup locations throughout Lafayette and one in Crowley. Sunshine Cleaners is located on Highland Road in Baton Rouge and Highway 73 in Geismar. The dry cleaning costs are comparable to conventional services, but no matter what, using a process that's safer on your clothes, your skin and the environment is worth the investment. When I spoke to Aaron recently, I mentioned that my king-size comforter needed a cleaning, but that the tag says not to dry clean (which I learned last year when I brought it to a dry cleaner). It ended up getting cleaned in an industrial size washer and dryer due to its size. As I learned more about the GreenEarth process, it makes more sense why the comforter shouldn't be dry cleaned, since the conventional PERC solvent can screw up the stuffing inside. Aaron explained to me how with their method, the comforter is safe to be dry cleaned, because the liquid silicone doesn't affect the batting the way PERC does. 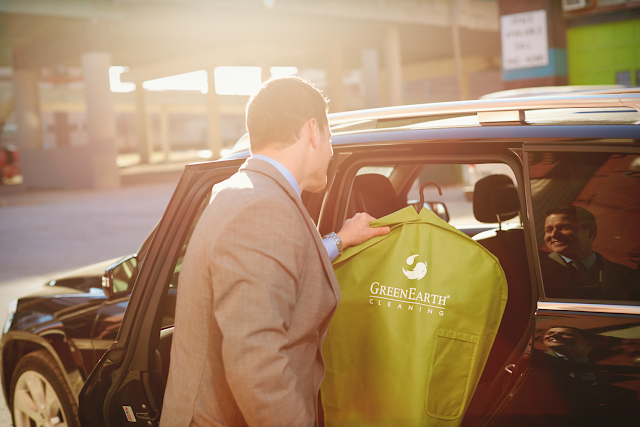 Look for a GreenEarth affiliated dry cleaner near you.